Matt Lucas, Ashley Jensen and Romesh Ranganathan are all voicing an animated special based on the Aliens Love Underpants books. Matthew Baynton has been cast as Kenny Everett in a new episode of Sky Arts’ Urban Myths. The episode will tell the story of the Everett and Freddie Mercury smuggled Princess Diana into a gay cabaret bar, dressed as a man. 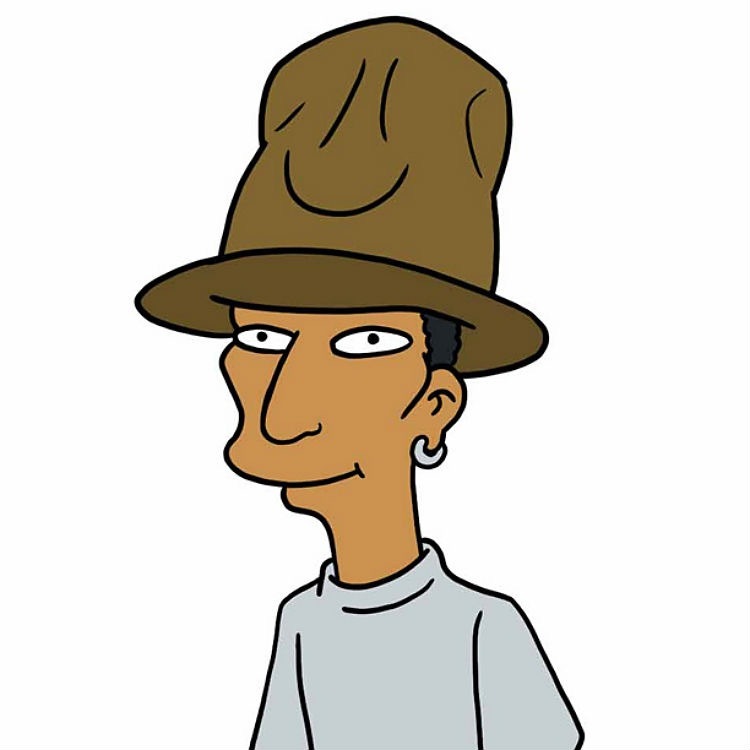 Pharrell Williams has landed a guest star role on The Simpsons. He’ll appear in the 26th season of the show in an episode called Walking Big & Tall. Pharrell will appear as himself in a story which will see him offer to write an anthem for the city of Springfield. Sherlock actress Lara Pulver and Peter Davison will join Imelda Staunton in the new West End production of Gypsy. The musical opens at the Savoy Theatre on March 28. Pulver will reprise the role of Louise in the show which is transferring to london after a successful run in Chichester. Davison takes over the role of Herbie from Kevin Whateley.